When I decided to team up with Decas Cranberry for a delicious cranberry recipe, it took me forever to decide what to make. I went back and forth between raw vegan cranberry cheesecake, cranberry orange loaf, cranberry waffles, maple cranberry sauce and on and on and on. 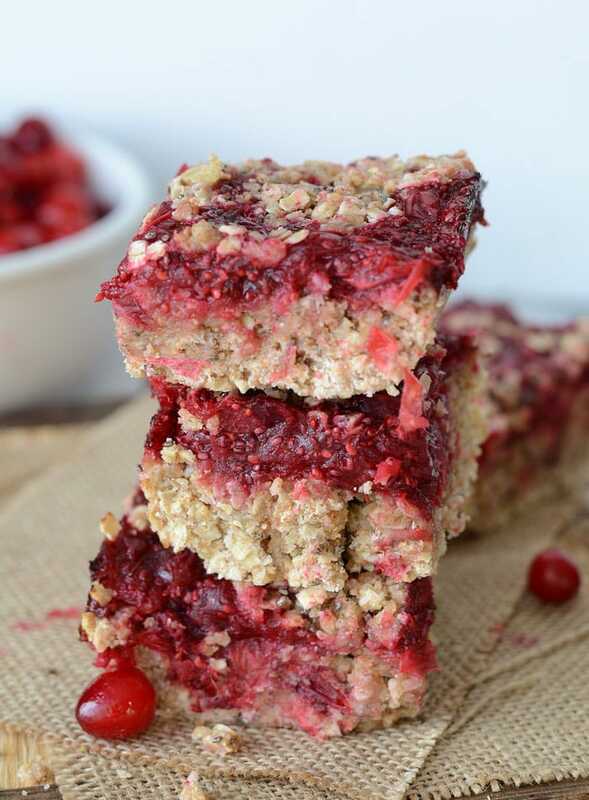 There are just so many amazing things you can create with cranberries! I love the tartness they bring to sweet dessert recipes. 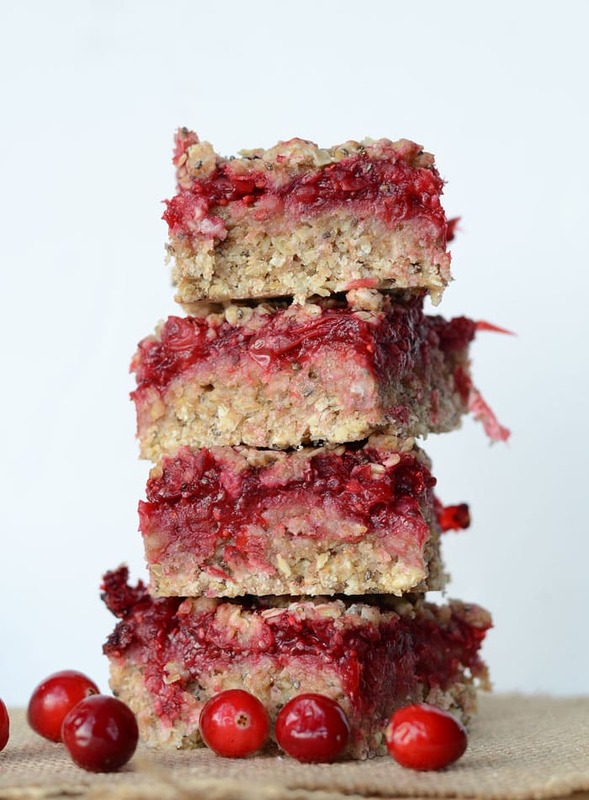 I finally decided on Vegan Cranberry Crumble Bars with Cranberry Chia Seed Jam. I think I made the right decision, wouldn’t you say? 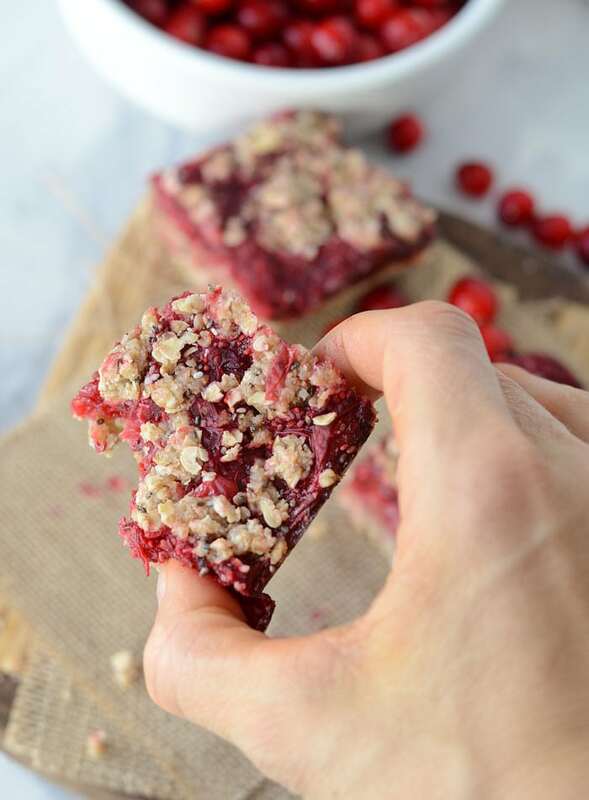 I decided on vegan cranberry crumble bars because a. who doesn’t love a good crumble bar, and b. this recipe actually doubles as two recipes because of the cranberry chia seed jam filling! I’m hooked on this tart and slightly sweet cranberry chia seed jam. It’s amazing on toast, english muffins, spread on muffins or banana bread, in thumbprint cookies, used in overnight oats or even stirred into a smoothie bowl! It’s really easy to make and you can either make it cooked or raw. I’ve shared the cooked version in the recipe below but if you prefer to make it raw, simply blend all the ingredients, add to a jar and store in the fridge. 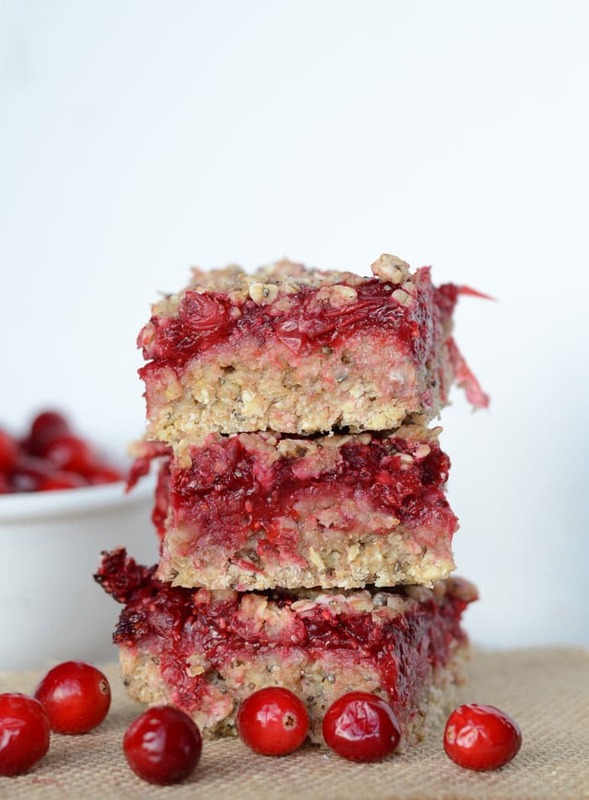 I used Decas Cranberry Paradise Meadow Premium Cape Cod Fresh Cranberries in this recipe. They’re grown on family farms in and around Cape Cod, Massachusetts and“dry harvested” which results in superior berries. They’re plump and flavourful and freeze well so you can just grab a bag of fresh cranberries from the freezer as needed. With an 80 year history in cranberries, the story of Decas is one of dedication to quality. 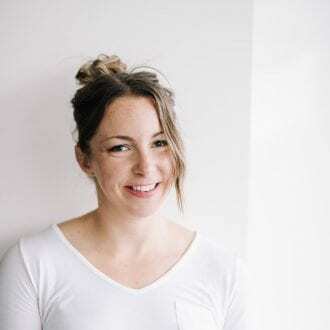 They’ve been researching every aspect of growing, harvesting and processing cranberries since the 1940’s and are commited to sustainability, community, innovation and culture. Cranberries are high in antioxidants and a wonderful, healthful food to include in your diet. 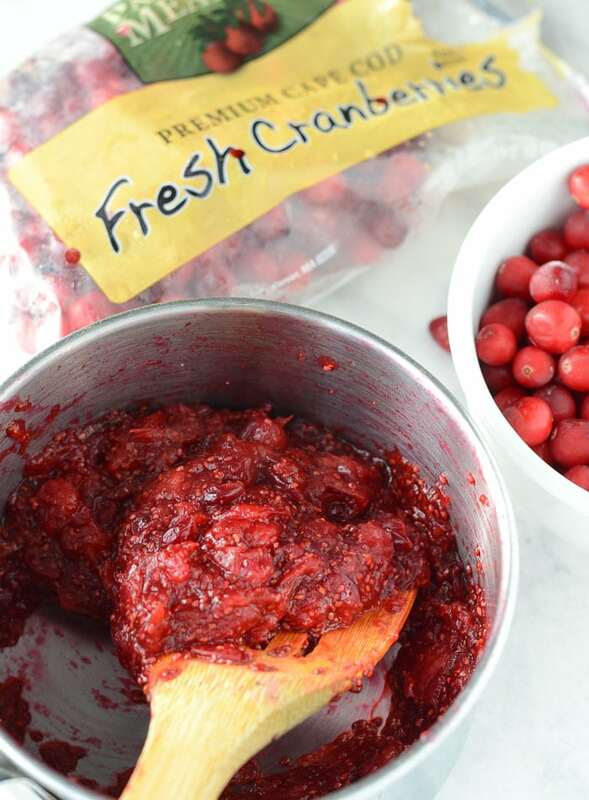 Decas Cranberies pair beautifully in desserts with citrus fruits like orange and lemon but is also perfect in savoury dishes like stuffing, hearty salads and holiday meals. I used lemon juice in this recipe but you could substitute it for orange juice for a yummy twist! I like keeping a few bags of Decas Paradise Meadow cranberries in the freezer for recipes or adding to smoothies and oats. They’re also aweosme tossed into cocktails like mimosas! Hello, holiday drinks! However, my favourite way to enjoy them as of late, is by making a batch of this deliciously tart and perfectly sweet chia seed cranberry jam. 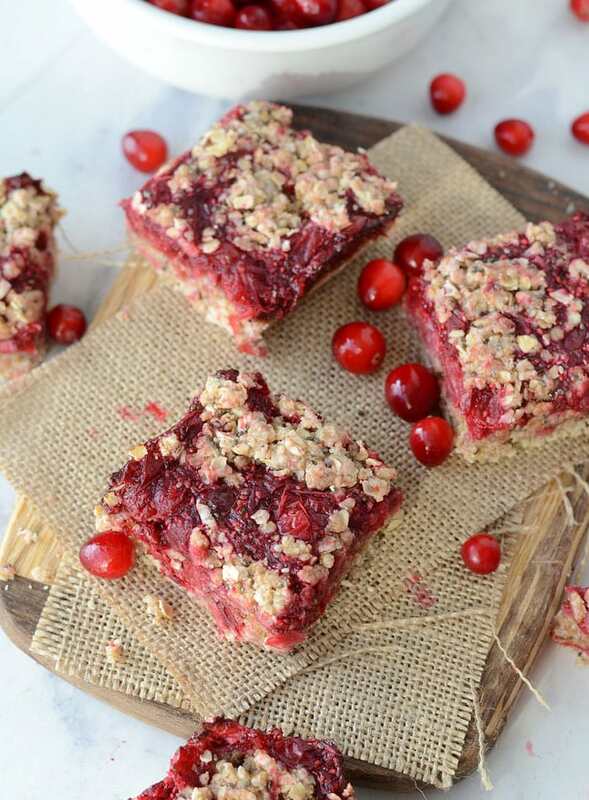 And of course, using that jam to make Vegan Cranberry Crumble Bars! Combine all ingredients in a small saucepan and bring to a gentle boil while stirring. Once it reaches a very gentle boil, turn the heat down. Continue stirring, while starting to mash the cranberries, for 6-10 minutes until it’s thick and has a jam-like consistency. Remove from heat and place in a jar. Store in the fridge for up to 2 weeks. Add all ingredients except the almond milk to a large bowl and mix to form a crumbly dough. Slowly add the almond milk 1 tbsp at a time until the dough starts to stick together. I used 3 tbsp in total. Press about 2/3 of the dough into a loaf pan, then spread the chia seed jam filling on top. Sprinkle the rest of the dough over top. Let cool in the pan, then slice into 8 bars. Disclaimer: This conversation was sponsored by Paradise Meadow. I received compensation in exchange for writing this post however all thoughts and opinions are my own. Thanks for supporting the brands that work with Running on Real Food. well this is brilliant. I never knew chia jam could act like a “jam” in bars. PINNING!! trying! YUM! These look amazing! I have made strawberry bars before that remind me a lot of this, and they were so delicious. I will have to try this cranberry jam version! Yummy! I made these to take along to a Thanksgiving dinner at my in-laws’ house. Even my very picky mother-in-law said that they were possibly one of her favorite dessert dishes this year. Thank you for the recipe! Well that’s just the best review ever! Haha, so glad you enjoyed them.